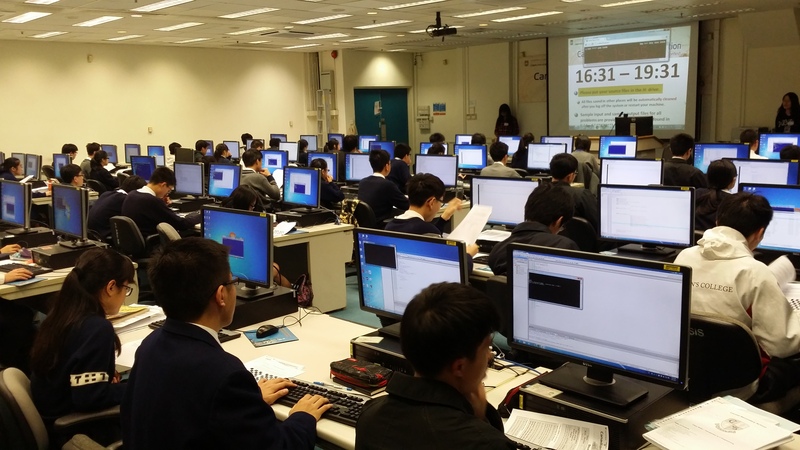 158 students from 23 Hong Kong secondary schools participated in the Canadian Computing Competition (Hong Kong Contest) held on March 5, 2015 at the Department of Computer Science, HKU. Professor Norman Tien (Dean of Engineering), Professor Francis Lau (Associate Dean of Engineering) and Professor Wenping Wang (Head of Department of Computer Science) presented the prizes and certificates to the winners at the Award Presentation Ceremony held on March 19, 2015 at HKU. 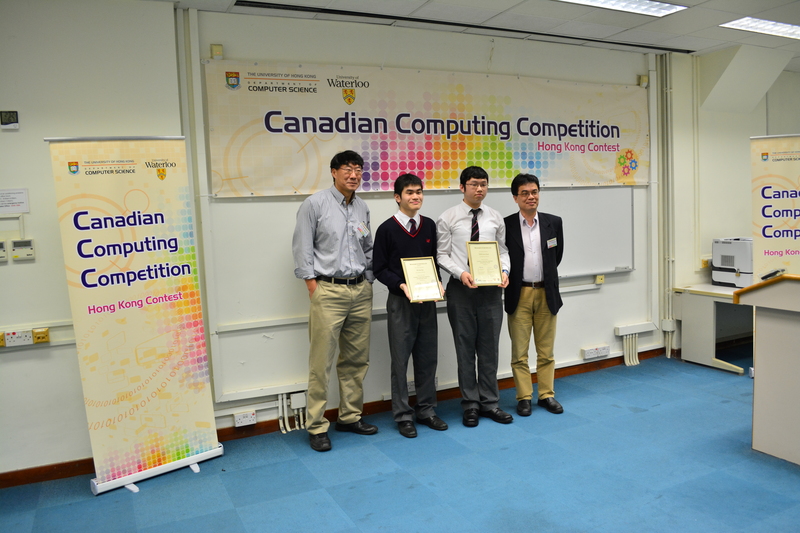 The top two winners of the Senior Division of this competition, YIK Wai Pan from Pui Ching Middle School and TUNG Kam Chuen from La Salle College, will represent Hong Kong to take part in the Final Contest of the Canadian Computing Olympiad held in May 2015 at the University of Waterloo in Canada. This CCC HK Contest was arranged and co-ordinated by Dr. C.K. Chui, Lecturer of the Department of Computer Science at HKU. For more details regarding this competition, please click here.